Okay, so I bought Reboot with Joe on Thursday and had planned to start my juice fast on Saturday. Then I read the book, and as if often the case, the thing isn’t as simple as one-two-three-go. There is preparation to be done. 1. I haven’t been eating many refined sugars in the past few weeks; so, this one is no biggie. My digestive system has been upset for a full week and has tolerated only granola bars, of all things. They do have some refined sugar, but not as much as if I were having a candy bar or a regular soda every day. My tummy is still ticked off for some reason; so, I continued to eat them over the weekend. 2. Oh. My. God. I don’t know when I last tried to get off caffeine; but, clearly, it was long enough ago that I have forgotten the Big Bang Headache that goes with it! My head feels like a universe is being born in it! The matter inside my head is expanding at far greater rate than my skull can accomodate. My ears are bleeding, my eyes just popped out onto the table, it’s mayhem, I tell you! I exaggerate. A little. But if headaches were jewelry, this one would make Cartier’s collection look like gumball machine loot. 3. As a result of my vicious headache, however, I did get a lot of sleep. (When it hurts to keep your eyes open, you tend to drift off, no?) As you know, the past month has been full of more grief, more anxiety, more work, more excitement and less sleep than my normal months. As a result, I was a little sleep deprived to begin with. Joe says in his book that the first five days of a reboot can be really difficult. To make those days easier, he recommends resting before the reboot. Since he does this every quarter or so, I’d say he knows of what he speaks. To be honest, I was unconscious for most of the weekend. As the single mother of a young man, I remember well the days when that kind of uninterrupted rest was impossible and I am grateful to have the luxury now. 4. Last week, I said that I planned to go the smoothie route rather than just juicing. I also said that I planned a 30-day fast. After having read the book, I have changed my mind about both of those things. Joe says that only the insoluble fiber is removed during the juicing process, not all fiber, as I believed. I was concerned about losing all that fiber; however, the pulp that is left behind is mostly insoluble stuff that my body can’t break down anyway. I can still use it to make broths and other things; so, even that is not a total waste. 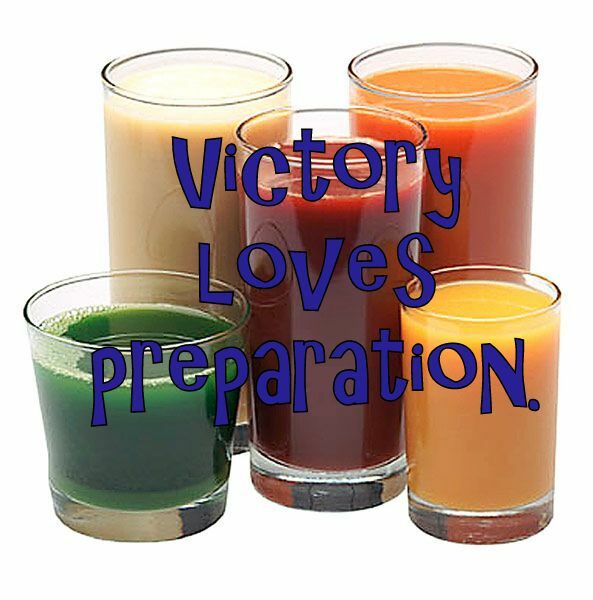 I am concerned about the nutrients that are lost in the juicing process. It seems that smoothies keep all of those nutrients. However, the reboot program works for so many, I think that I need to at least try it the way it is constructed to see if it works for me. If I start making changes to it right out of the gate, I’ll never know. As for the 30-day fast, that’s just too long for me. I don’t need to lose that much weight; so, a 15-day fast should be plenty. Hey, if you’re game, there is still time to get the book, do the prep and join me! Those who have done it report increased energy and mental clarity which both sound really good to me. So, I am still excited about my upcoming fast – or, I will be as soon as this intracranial Big Bang is finished. Looking forward to your documented journey!